Search Engine Marketing (SEM) or pay per click, is a digital marketing method that primarily focuses on paid promotion in search engines. The theory behind pay per click campaigns is that the higher your website is featured on a search engine results page (SERP), the more likely users are to visit your web page. Pay per click campaigns automatically brings your website to the top of the SERP, making it more likely to be clicked on than other results. Pay per click (PPC) is a form of digital advertising that charges you per click on the ad. PPC ads are designed to charge customers for actual results, not just impressions, like popular CPM models. 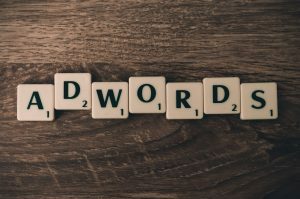 When you begin a pay per click campaign, you will set a budget and then select keywords or key phrases that you would like to be featured for. For each of those keywords, there is a price. The price of the keyword is dependent on the click through rate, search volume, ad relevance, and a few other factors. We use pay per click campaigns for lawyers because when prospects are looking for legal advice, they are more likely to use a search engine than any other vehicle. PPC ads are both cost effective and efficient. They are cost effective because, like previously mentioned, you only pay when a prospect clicks on your link. What makes PPC ads efficient is that we are able to adjust the campaign at any time. In other words, we can change the list of keywords we are targeting. This allows us to disregard keywords that are not performing well and cutting down on your cost and creating a more focused keyword list that we know will lead to results. Contrary to common belief, search engine optimization and search engine marketing are two different beings. When it comes to SEO, we use techniques to organically improve keyword rankings, traffic, and website visibility. Organic traffic means that you are not investing any additional money into your campaign. The strategy we use to build the website and develop evergreen content will increase the ranking of your website. Search engine marketing is generating high-quality leads through pay per click ad campaigns. SEM is used to target a very specific group of prospects. 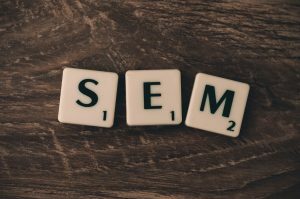 Another benefit of search engine marketing is that SEM brings your site to the top of the SERPs for a specific keyword or phrase. The main difference between an SEO campaign and an SEM campaign is that you are paying for your ranking with an SEM campaign. An SEM campaign, in addition to an SEO campaign, will give you an edge over your competitors. The benefit of using Legal Firm Web Design is that we coordinate and provide both SEO and SEM services under the same roof. In addition, we provide web design and content creation services for your website. We believe, this gives Legal Firm Web Design a leg up on the competition. A successful pay per click campaign requires you to have a thorough understanding of your prospective clients. Our experience and select focus on law have taught us what keywords your prospective clients are typing into search engines. This knowledge allows us to set up an effective pay per click campaign from day one. We are a partner of Google Adwords and have experience running search engine marketing campaigns for firms of all practice areas across the country. We know what keywords are most important for every practice area of law so we know how to stretch your dollar as far as it can go. Since we host, design, and provide marketing services for your website all of your marketing needs are under one roof. This allows for our team to develop a seamless cross-campaign strategy. We provide you with detailed monthly performance reports that will give you an update on how effective your marketing campaign is. Our custom reports are developed for each individual client. The breakdown will include details about your website (how many visitors your site has, where visitors are coming from, etc. ), conversion rates, and how your pay per click campaign is performing. Generally, what it all comes down to is the number of times your website is seen. Paid ads place your website at the top of the list for important and targeted keywords. This will increase the visibility of your website, leading to an increase in credibility, and an increase in goal completions. Search engine marketing campaigns are cost effective and efficient. Research has been done to show that a PPC campaign for lawyers is one of the best forms of paid marketing because of the actions of their users. If most of your prospective clients, use a search engine to find your firm, why wouldn’t you invest in advertising in this area? It’s a no brainer. Our experienced PPC team will set you up for success on day one. Our team is familiar with a variety of practice areas and has the ability to work with a large or small budget. We are determined to get you the results you are looking for. Contact our office today to schedule a consultation with a personalized account manager.